TWO MEN AND A TRUCK® Gulf Coast has been serving the Mississippi coast with professional movers and packing services since they opened their Gulfport office in 2013. Since then, their services have grown to a fleet of 10 trucks with 25 full-time movers and a recently added satellite office in Hattiesburg. They move apartments, condominiums, homes, and everything in between. Whether you need help rearranging furniture from one room to another, or you’re moving down the road or across town, let TWO MEN AND A TRUCK® Gulf Coast make your home or business relocation easy, affordable, and stress-free. To make things even more exciting, starting October 1st, Two Men and a Truck will partnering with Back Bay Mission to raise money for our Veteran Support Fund. For every LIKE their Facebook page receives, Two Men and a Truck will be donating $1.00 to Back Bay Mission. Follow the link below to their Facebook page, Like, and help do your part to support our veterans. 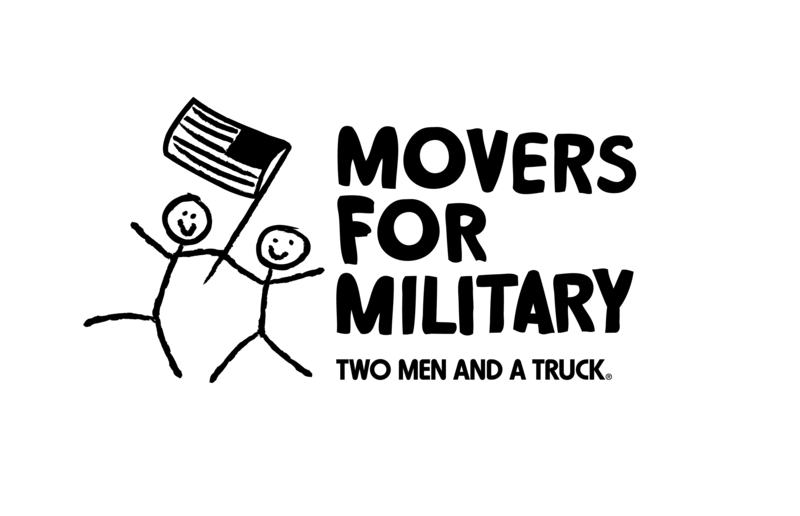 Two Men and a Truck: Movers for Military! To us in America the reflections of Armistice Day will be filled with – solemn pride in the heroism of those who died in the country’s service, and with gratitude for the victory, both because of the thing from which it has freed us and because of the opportunity it has given America to show her sympathy with peace and justice in the councils of nations. Far too many veterans, however, are forgotten. They are on their own, in need of a warm embrace and a helping hand. Fortunately, Back Bay Mission never forgets. Every day, countless veterans come through our doors. 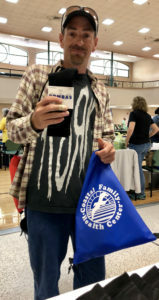 They come to the food pantry and the Micah Day Center. They come for utility assistance and rapid rehousing. They come for love and compassion. You can be here, too. This Veterans Day, support our veterans through a gift to our client sustainability campaign. This campaign includes our veterans support fund, which gives immediate help to veterans who hit a bump on the road to self-sustainability. 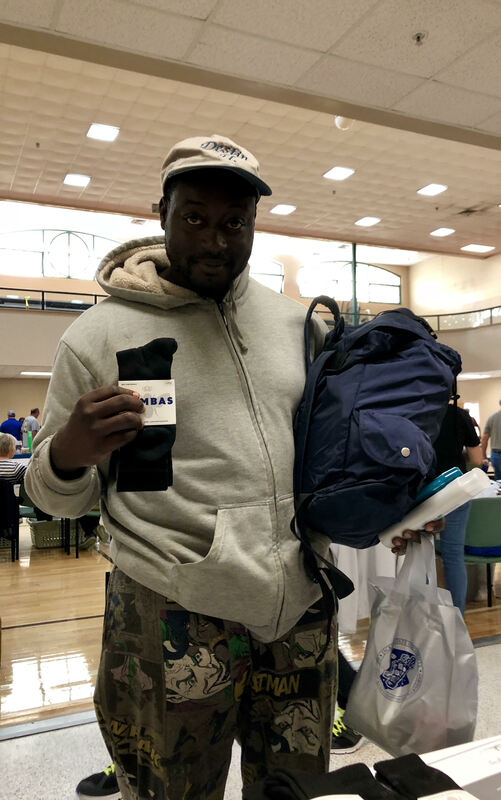 This fund helps veterans fix their cars, buy clothes for job interviews, and overcome other obstacles on the way to a better life. This Veterans Day, strengthen neighborhoods, seek justice, and transform lives by giving generously to the veterans we serve every day. Follow this link to make your gift right now. 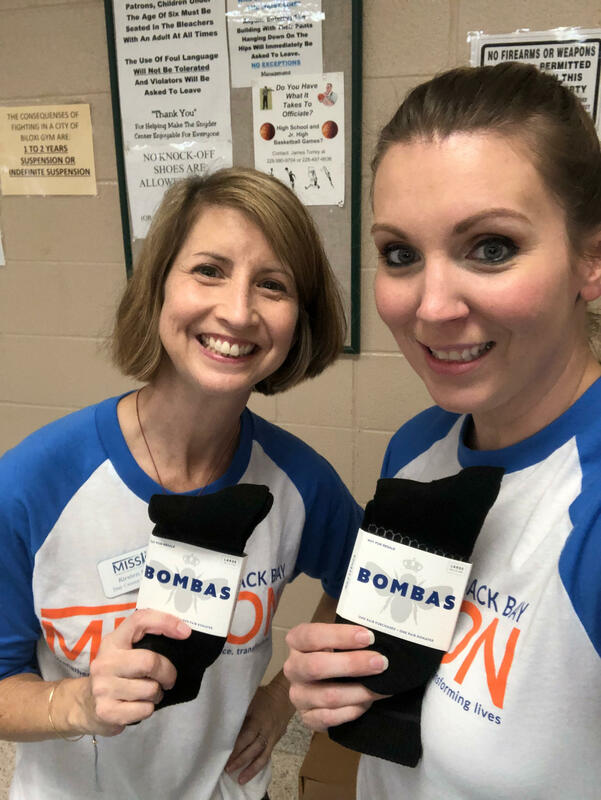 This summer, a generous donor agreed to match up to $10,000 in donations to the Mission’s Client Sustainability Campaign. The Client Sustainability Campaign is supporting three vital Mission ministries: our Bridges Out of Poverty program, our community health initiatives, and our Veterans Support Fund. Thanks to people just like you, we raised more than $37,000 this summer! That brings the total amount raised to almost $60,000! But that doesn’t mean we’re done. This year, we’re hoping to raise $150,000 for these important ministries; ministries that help people begin making their journeys out of poverty and towards self-sustainability. Bridges out of Poverty helps people move out of poverty through an evidence-based curriculum that includes mentoring. A 16-week class helps participants create plans and strategies what will help them achieve their goals. During and after that class, participants receive mentoring from community members as well as ongoing support from Mission staff. Our community health initiatives help people be good stewards of their health. Through classes and activities, participants learn about common health problems and how to prevent them. Through case management, people with health problems are supported through their illness. Together, these initiatives address the barriers caused by poor health, make our community healthier, and position our neighbors for sustainability. 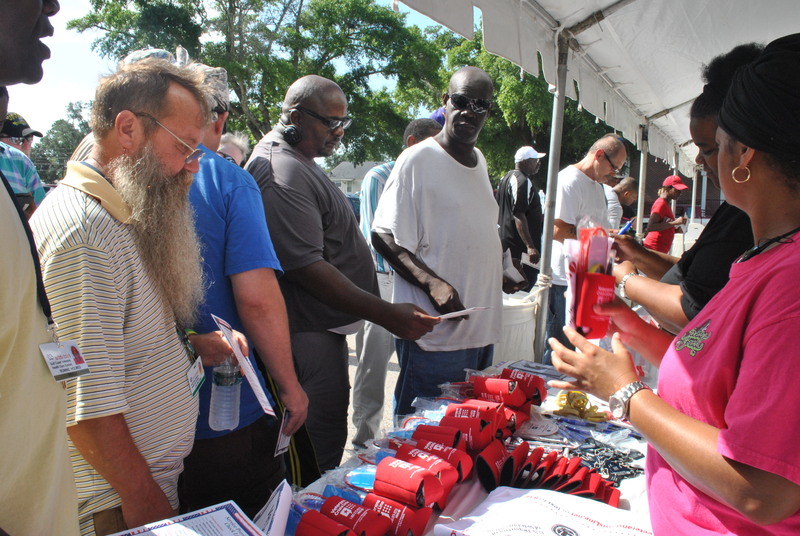 The veterans support fund gives immediate help to veterans who hit a bump on the road to self-sustainability. 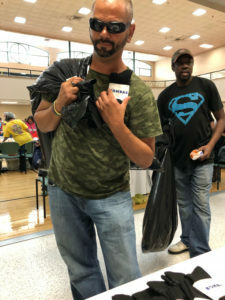 This fund helps veterans fix their cars, buy clothes for job interviews, and overcome other obstacles on the way to a better life. You can be a part of this important campaign! Go to our campaign page to make your gift today, or mail your gift (with a note that it’s to the Client Sustainability Campaign) to Back Bay Mission, PO Box 288, Biloxi, MS 39533. Back Bay Mission’s Veterans Support Fund helps veterans and veteran families in need. These funds are used to help veterans and their families find housing, pay utility bills, buy food, and meet other important needs. Participating restaurants are giving a percentage of their earnings from Thursday, November 10 through Sunday, November 13 to the Veterans Support Fund. That means you can help veterans and veteran families by eating out! Enjoy a meal at Shaggy’s in Biloxi or Woody’s Roadside in Ocean Springs and help veterans in need on the Mississippi Gulf Coast! Feel free to download and print these reports for your congregation’s newsletter or to include in worship bulletins. The next time we publish reports on the website, we’ll include these with each report. 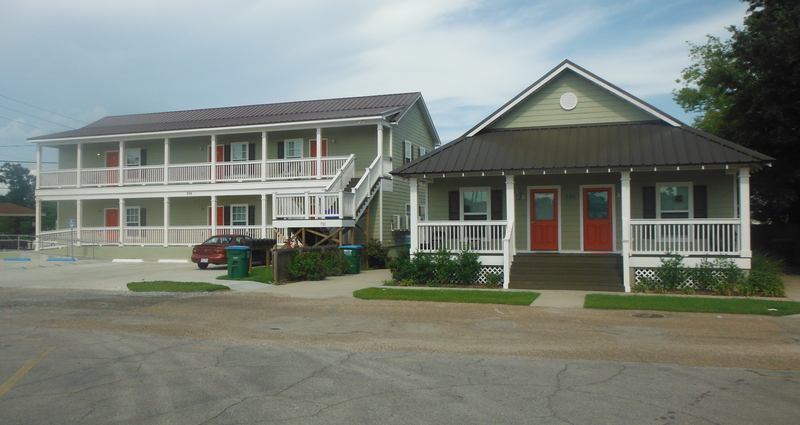 Back Bay Mission has been a key partner in ending veteran homelessness on the Mississippi Gulf Coast. In 2014, we opened the first phase of our HomePort program, which provides permanent supportive housing to veterans who are disabled and chronically homeless. In 2015, we opened the second phase of that program, bringing our total number of supportive housing units for veterans to eight. 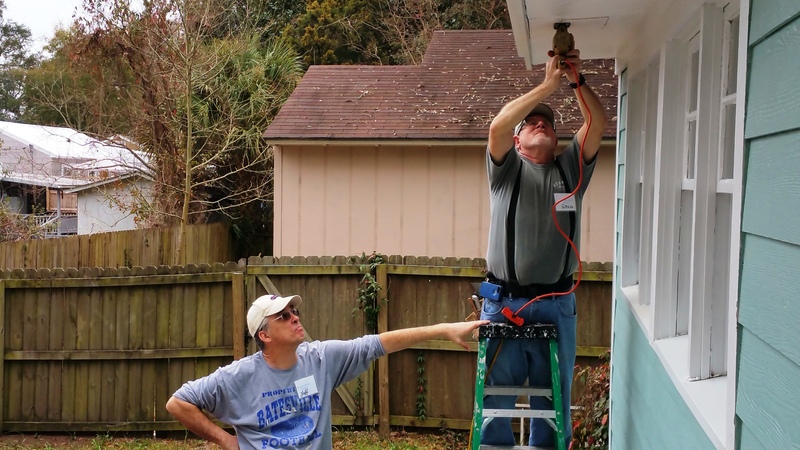 Today, HomePort is administered by the Gulf Coast Housing Initiative, a daughter agency of Back Bay Mission. There is still work to be done, however. There are veterans who continue to live in poverty in Biloxi and Gulfport. Thanks to our Veterans Support Fund, Back Bay Mission can offer additional services to veterans in need through any of our programs. HomePort and the Veterans Support Fund exist thanks to the hard work and generosity of hundreds of volunteers, donors, and partners. Thank you all for what you’ve done to effectively end veteran homelessness on the Mississippi Gulf Coast! You can read the story from WDAM, and see the letter of commendation, here. You can learn more about HomePort here. You can make a gift to support the Veterans Support Fund here.